Since my garden is located in Zone 7, now is the time to start planning ahead for the hundreds of free plants I want to get next spring. If you’re just starting out at gardening as a hobby, you may be wondering how does one get free plants? You are also probably wondering that if there are ways to get free plants, is it possible for me do this? The frugal gardener should be outside searching the plants in our gardens that are going to seed. These are the very same seeds most people buy at the garden stores in the spring. That’s right, the seeds are sitting right in front of us, waiting to be harvested! 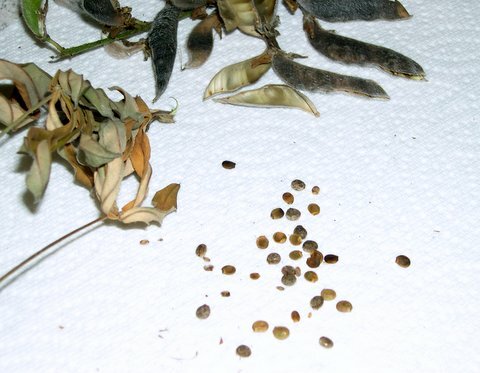 If left alone, the seeds will dry and drop around the original plant(s). If you gather the seed & save them over winter, you can start them indoors, in a greenhouse or plant them directly in the garden after the last frost (there is also nothing wrong with letting them seed on their own. It may get a bit crowded, but you can dig up the ‘babies’ and replant them). All you need to harvest your own seeds are a few basic supplies and you’ll be ready to become a Seed Saver! Pick a dry day to gather seeds as they will be less likely to mold over winter. Search out the plants that are at the end of their growing season. If you look closely where the flowers were, you should be able to spot some in the next stage – where the plant starts to set its seed for the next season. Pick the best specimen to save the seed from. The more carefully you select the plant, the better quality seedlings you will have come next season. 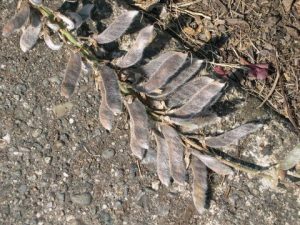 The best seed savers are both patient and observant – making frequent tours of the garden, looking for plants that are in the process of going to seed (be sure you stop dead heading or you’ll never have any blossoms setting seeds). You want them as mature as possible, but you want to catch them before they disperse on their own or before it rains. To actually gather the seeds, I find I get some of the seeds from a flower or plant, but rarely all of them. Since the plants are dry, that makes the seeds hard to capture. I’ve tried different methods for different flowers. This includes cutting small seed pods & just putting them whole into an envelope or cutting larger pieces and putting them in paper bags. Often I’ve slipped the bag over the stem, then bent the stem off and tipped the bag over. The biggest difficulty comes because the stems are dry so as soon as something touches any part of the plant the seeds will scatter. You’ll probably have to try a plant a few times before you come up with a good way to get some of the seeds captured from that particular plant. Allow your seeds to air dry indoors at room temperature as they are laid out on a flat surface. Once dry, you can choose to clean them up or not. I’ve done it both ways. If I have time, I clean up my collections and put all the like seeds together in an envelope and seal(being sure to label). If the pieces won’t fit easily into the envelope, I clean up my collection, tossing stems and old blossoms, and just use the smallest size paper bag by folding over the top, taping shut and labeling. Keep the packets of seeds in a cool, dark and dry space over the winter*** The best spot would be a moisture proof container inside your freezer or refrigerator, but I’ve successfully grown plants from seed that just got stuck in a desk drawer. Start looking at your plants that look a bit worse for wear and see if you can harvest a few seeds. You can then start dreaming of where you’re going to expand your garden next spring or how many people on your gift giving list would enjoy a gift from your yard. *** Use of Desiccants: To keep seeds dry, you could use the little packets of silica gel that come with new electronics and other items or being frugal, you could make your own. Just take a teaspoon of powdered milk and make a small pouch or envelope out of paper towel. It works just as well to absorb any moisture and keeping your seeds dry.